Operation Christmas Child Please donate $10 for every shoebox you prepare. 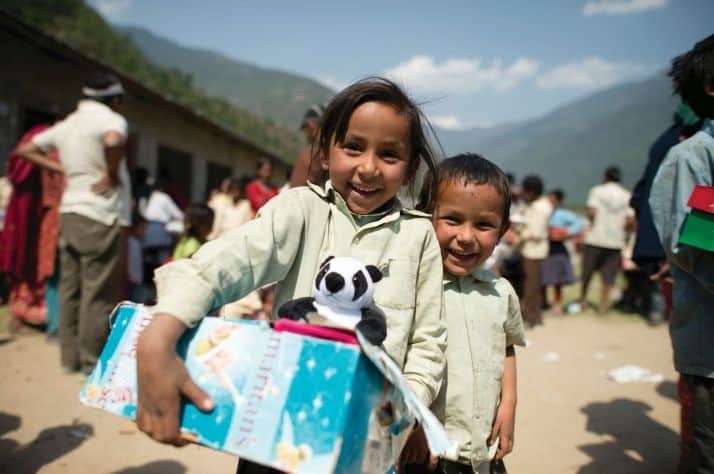 Your donations will help cover project costs, including shipping (make one combined donation for multiple shoeboxes). Consider making an additional donation to help Samaritan's Purse go beyond the shoebox and expand assistance to children, their families, and their communities. Samaritan's Purse does not provide receipts for the value of gift items included in a shoebox.